We are a friendly group of people who have found the joy of a Christian life and a personal relationship with Jesus Christ. We welcome you along to our main Sunday services. Whatever your views of Christianity are, why not come and hear the Word of God made relevant to the world we live in today? For a limited time only God is making His free gift of salvation available to everyone, why not come along and find out more (Romans 6:23). We do offer a Sunday school for any children that come along to our services, although we do ask that parents or guardians also attend. Our building is fully accessible to those in wheelchairs. For any further information or assistance please see the links at the top of this page. It can be a nerve wracking experience going to any new place or venue, especially when you don’t know any of the people, or you’re not familiar with the format. Churches can see even more daunting! Why that is, we really don’t know, but what we want to do is to tell you a little more about what we do and what to expect at one of our Sunday morning services. We will start by answering some frequently asked questions (FAQ’s). Do you have free parking spaces? Yes, the Longfield Centre has a large public car park (free) which also includes a number of spaces for the disabled. Please see our directions page for further information. We have a member of the church on the main Longfield Suite door. They will direct you to the hall where we have our services. There is a disabled parking space available in the adjacent Longfield Centre car park. The facilities are fully ramped for wheelchair users and are on the level once inside. We also have disabled toilet facilities. Is it OK to bring my kids along? Of course – we try and cater for all age ranges. We do have Sunday school available at our main Sunday services. However, we do ask that all children are accompanied by a parent or guardian. No, not at all. God doesn’t look on the externals, but on the heart. Come in whatever’s most comfortable for you. Only yourself. If you have a bible then feel free to bring that along. However, the church will provide the songbooks and bibles are also available. We are a friendly bunch of people and you will be made to feel very welcome. We do have refreshments after the service, so feel free to stay and make some new friends. Can I contact you first? Yes – just click on the contact button above and ask any questions you like. We will get back to you as soon as possible. A lot of people think of churches as being one of two extremes, either very traditional or ultra modern! After talking to various people we tend to find that they find the modern, more charismatic churches a little scary and the traditional service a little monotonous and boring. 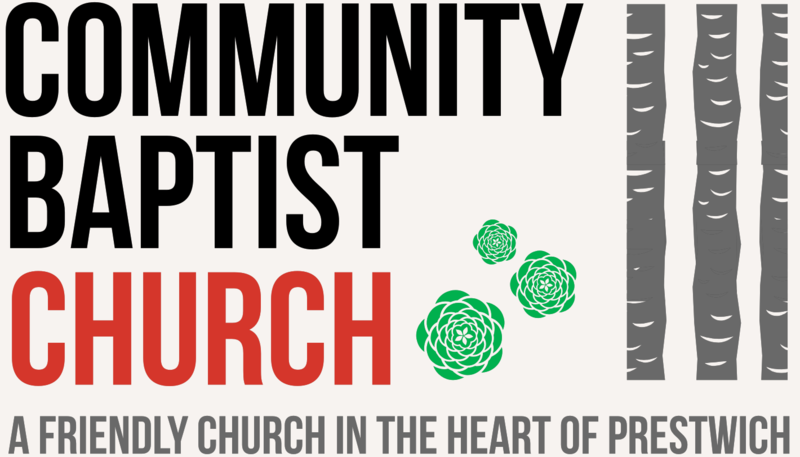 Here are some details of what a Community Baptist service is like. Well it aims to be joyful. When we sing we do so heartily unto God (as the Bible says). We sing a mixture of traditional and modern songs, and we do so from the heart. We sing because we want to, not because we have to (for someone from a church background, we are not a charismatic church). The preaching is straight from the Word of God. We believe the entire bible and you’ll hear practical messages with real life applications. We don’t miss bits out because they’re hard or we don’t like the message – the bible says “All scripture is given by inspiration of God”. The church is friendly. You won’t feel you stick out like a sore thumb when you walk through the door, and there’s never a shortage of people to talk to, if you want. We pray as we consider it to be vital, although nobody is asked to, or expected to pray out aloud on the spur of the moment. Prayer is often refered to as “the engine room of a church”. God speaks to us through his Word and we speak to Him through prayer. With regards to money, there is a normal collection but visitors are not expected to put anything in, we are just glad to have you with us. If you want to participate that’s fine, but please don’t feel under any pressure to give. Finally, there is no pressure to come again. It would be great if you came and we hope you will come back again. However, if you feel that the church is not for you then that’s fine. We wish you all the best in your search for a church home.